Oregon State University and HP have a decades long history of collaboration. 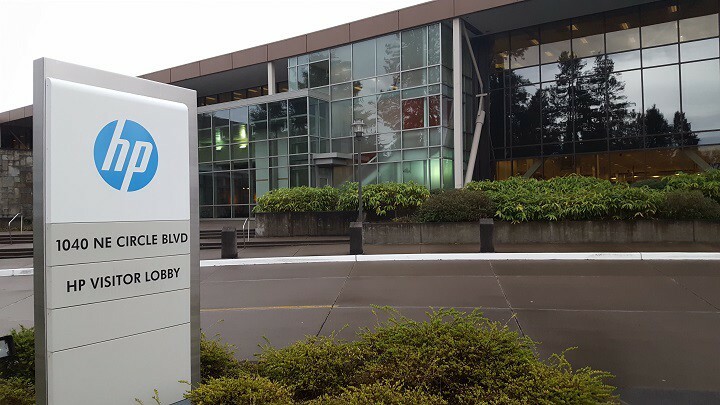 According to HP’s then-CEO John Young, a big factor in the opening of the HP facility in Corvallis in the 1970s was to facilitate a relationship with the University. On the special page devoted to HP on OSU’s website, the University boasts that “forty years later, the relationship is still flourishing”. Nearly half of the employees hired at the Corvallis facility are graduates from OSU, including many high-ranking officers within the corporation. HP partners with the University on research, and donates both funds and resources to the school. The protesters murdered on Monday, May 14th, the bloodiest and most well-publicized day of slaughter due to its coinciding with the illegal opening of a US embassy in the international city of Jerusalem, were taking part in what is called the “Great Return”. The Great Return is a series of protests being held by the besieged people of Gaza this year, to mark the 70th anniversary of al-Nakba, or “the catastrophe”, the day in 1948 when 750,000 Palestinians were forced to flee their homes, or face slaughter. Since that day, the Palestinian people have been scattered. Many fled the land of their ancestors altogether, some still live in the Eastern, supposedly Palestinian, portion of Jerusalem, some live in the West Bank and some in Gaza, a city described by Noam Chomsky as the world’s largest open air prison. After a war between Israel and its neighbors in 1967, Israel illegally annexed East Jerusalem and began constructing settlements in the West Bank, displacing the Palestinian people even in these small areas left to them. The settlements are unequivocally illegal under international law, and constitute nothing less than an occupation of Palestinian land. This fact has been stated definitively by the United Nations in 1979, 1980, 2003 and most recently in 2016. These resolutions have neither stopped nor slowed the seizure and occupation of Palestinian lands by the Israeli government. Palestinians living in Israel are afforded second class citizenship. They are restricted in their movements, and are systematically and institutionally denied equality under Israeli law in housing, employment, family life, healthcare, education, and justice. This fact is not controversial and has been acknowledged by the United Nations, Human Rights Watch, and even the US State Department. This system of apartheid (as defined under international law) is made possible through the use of Palestinian-specific IDs and checkpoints scattered throughout the country to fragment the Palestinian population. The software used to operate this system of institutional discrimination is called the Basel system, and its prime contractor is Hewlett Packard Enterprises. Perhaps the worst conditions in Israel are in the besieged prison-city of Gaza. Since 2006, the Israeli Navy has blockaded Gaza, severely restricting the economic prospects of the indigenous population, and denying access to food and medical supplies. To compliment the siege, a series of bombing campaigns have been conducted in 2008, 2009, 2012 and 2014. The UN has suggested that Gaza may be uninhabitable by 2020 because of the destruction, lack of food, clean water and medical care. The IT systems used by the Israeli Navy in continuing this seige are provided by Hewlett Packard Enterprises. Which brings us to the Great Return protests. Despite decades of suffering some of the worst human rights abuses on the planet, the Palestinian people are still strong, they still see a day where they may be allowed to return to their indigenous lands, and participate fully in an equal society. It was to this end that the Great Return marches have been held. But the Israeli military does not take kindly to protests, even peaceful ones, of their occupation. As stated before, almost 100 people have been murdered by Israeli snipers during these peaceful marches, including children and even infants. Thousands more have been injured. When protesters are captured by the Israeli military they are subjected to what Human Rights Watch calls “severe mental and physical suffering” (emphasis original) and torture. As many as 700 of those imprisoned and subjected to this criminal treatment each year are children. The disparity of power between the Israeli “justice” system and its victims was recently and infamously demonstrated by the case of Ahed Tamimi, the 17-year-old Palestinian girl who is charged with assault for slapping, with her bare hands, heavily armed Israeli soldiers. This after they crushed her 15-year-old cousin’s skull with a rubber bullet. Tamimi took a plea bargain in 2018, and her cousin survived after a medically-induced coma, but their lives have been forever blighted, to use the term of the British Foreign Office. 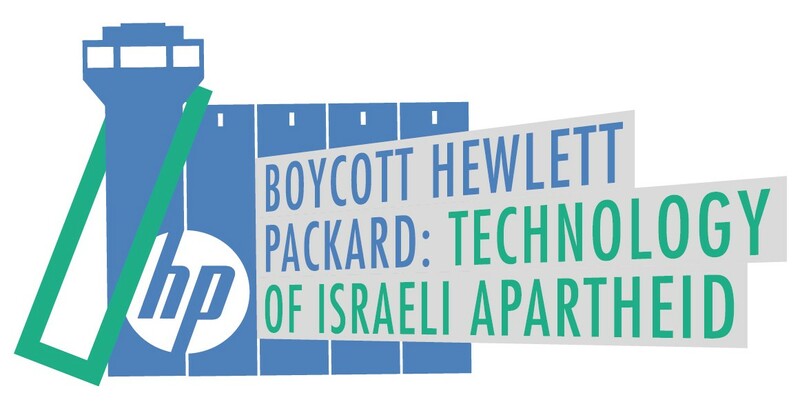 As you may have already guessed, the central server of the Israeli prison system, as well as many other equipment and services, are provided and maintained by none other than Hewlett Packard Enterprises. In 2005, a coalition of Palestinian unions, women’s groups political parties and other civil society organizations started the Boycott-Divest-Sanctions movement or BDS. BDS is a peaceful protest movement modeled after the boycott movements which contributed to the fall of apartheid South Africa, in which Palestinians urge enemies of occupation and apartheid world over to end their relationships with corporations contributing to Palestinian oppression. The demands they hope to achieve with these actions are: an end to the illegal occupation, full rights and citizenship under the law and the right of Palestinian refugees to return to their indigenous lands. One of the primary targets of this campaign is HP. The role of HP in the current struggle for justice, has been likened to that played by Polaroid in the boycott movement against South Africa, given the central role those corporations played and are playing in the surveillance and control of oppressed people. We may appreciate the help that HP has lent to OSU in past decades, but it pales in comparison to the suffering the Palestinian people have endured for almost twice as long. The moral, noble thing to do in this instance would be for OSU to formally end its partnerships with HP, and do so explicitly in solidarity with the Palestinian people against the illegal, immoral oppression they face, oppression facilitated by HP through Hewlett Packard Enterprises. Now, when the wanton slaughter of innocent protesters is capturing headlines world wide, is the perfect opportunity for OSU to take the necessary steps. One can scarcely imagine a more fundamental way OSU could pursue its stated goal, in its Visions and Principles, to “improve the quality of life at our university and throughout the world” than by immediately ending its relationship with HP, and contributing in this way to improving the quality of life of some of the most long-suffering people in the world. The arc of history tends toward justice, and this horrid oppression will come to an end sooner rather than later. It would be an unerasable scar on the school’s reputation to still be onboard that dismal ship when it sinks, the time to act is now.